"This is a spring recipe that we love. It’s family-friendly and entirely delicious as an afternoon treat. The fizz comes from whey and the copious yeasts in the elderflower pollen. 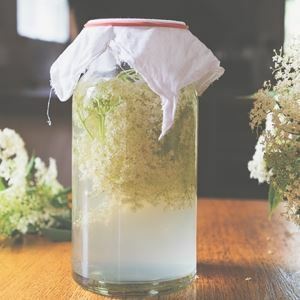 Because there is so much fermentation potential in this recipe in the form of pollen yeasts, it ferments very quickly, before all the sugars are consumed and the alcoholic content rises. This means everyone can drink it, not just the big people in your household." ~ Kirsten Bradley and Nick Ritar. The longer you leave the soda to ferment, the drier it will become as the yeasts eat all the sugars. It will also become more fizzy, slightly alchoholic and potentially explosive when opened, so be careful. 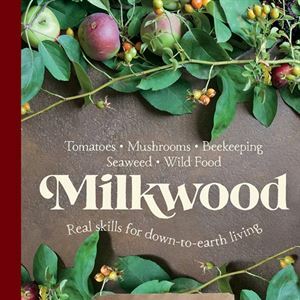 Credits: Images and recipes from Milkwood by Kirsten Bradley and Nick Ritar, Murdoch Books, RRP $45.00 Photography by Kate Berry and Kirsten Bradley, Illustrations by Brenna Quinlan.